At warlock level 4, you know 3 warlock cantrips. Maurgoth’s cantrips are Eldritch, Friends, and True Strike. Maurgoth has 2 Second-level spell slots, which regenerate on a short rest. At warlock level 5, Maurgoth knows 6 warlock spells. Maurgoth’s spells are Arms of Hadar, Command, Fly, Hex, Invisibility, and Scorching Ray. At warlock level 5, Maurgoth knows 3 warlock invocations. The breath weapon does 2d6 fire damage in 15ft cone. A short rest is required to recharge. Breath weapon is a 15 foot cone of fire, dexterity saves. Level 1: Dark Ones Blessing — on reducing enemy to 0 hp, gain temporary hp equal to your charisma modifier plus warlock level (7 hps). Since the launch of 5th Edition Dungeons & Dragons, I have been running the Tyranny of Dragons campaign as a biweekly D&D game. This weekend I was reviewing the rules for the various Factions in the Tyranny of Dragons official material, and the Dungeom Master’s Guide, and I’ve come to the conclusion that they do not have enough detail to satisfy my players (they currently amount to “you get stuff as you gain Renown,” but they provide no insight as to what said “stuff” might be). Rather than abandon the Renown and Faction concepts altogether (some of my players have expressed interest in currying favor with the various factions), I’ve come up with the following rules to use in my home campaign. I should say, from the outset, that these rules may be more “generous,” in terms of rewards to the players, than other DMs may be comfortable with. With that preemptive defence out of the way, let’s get to the Factions! 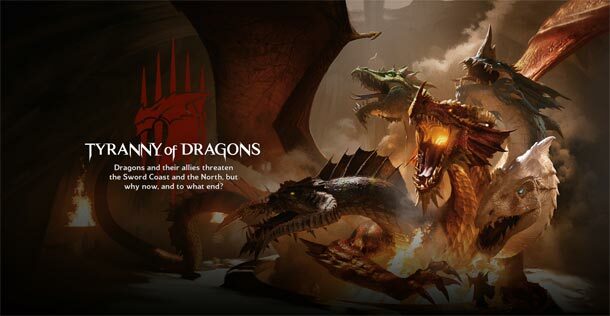 As we play through the Tyranny of Dragons campaign arc, my players will gain Renown for achieving objectives or undertaking quests that support their respective Faction’s goals. To date, the characters’ actions against both the Cult of the Dragon and the Church of Cyric have gained them 3 Renown (as background, my campaign features a plot by the Forgotten Realms gods Bane, Bhaal, and Myrkul as a parallel threat, alongside Tiamat’s Cult of the Dragon. Neither these gods, nor the Church of Cyric, play a role in the “official” campaign). As we the campaign advances, my players will gain Renown at a slower rate than they will XP, and will be mostly independent of their level, but if they try to find ways to help out their Faction, they will be gaining Renown faster. By setting up the rewards this way, I am hoping that, as the campaign advances, the guys will start independently looking for adventures to help their Factions out, rather than following the trail of crumbs left by the “official” story. As my players advance in Renown with their respective organizations, they will gain the benefits or followers indicated on the tables below. If they select the follower options and the followers end up getting killed in the course of play, they will likely be replaced by the organization in a timely fashion, so long as they were slain in pursuit of your Faction’s goals. However, if they are killed in connection with an unrelated matter or as a result of the player’s negligence, it may result in a loss of Renown, as well as a delay in their replacement. 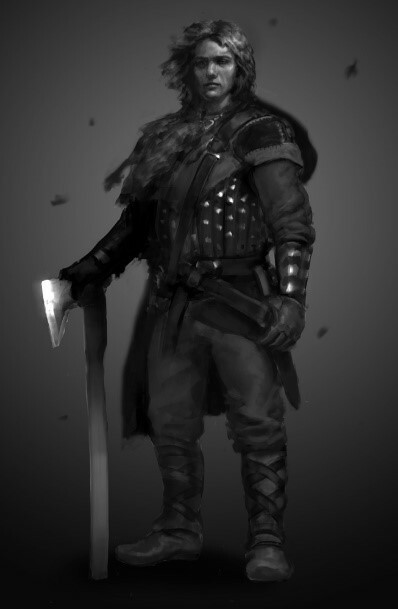 In addition to the benefits or followers they gain at each Renown tier, my campaign’s PCs will gain Contacts within the organization at each tier and they see the bonds with older Contacts grow stronger as their influence in the Faction. The table below lists the rough guidelines for the level of the bonds between the characters and their Contacts. Each new Contact starts at a level 1 bond, which goes up every time the players reach the next Renown tier (whereupon they also gain a new Contact with a level 1 bond). This means that, by the time the PCs reach the final Renown tier, they will have five Contacts that they can regularly draw on for advice and support, with bond levels running from 1 to 5. It is worth noting that the Contacts gained in the Faction are not puppets for the players and will be played as independent characters. Abuse of these Contacts (say by stealing or losing loaned equipment) will result in a loss of Renown in the Faction. 1 The relationship is mostly based on mutual interests in the Faction. The Contact will not offer any preferential treatment, but they treat the character with a modicum of resepct. The Contact will loan the character equipment up to 100 gp in value. 2 The Contact is friendly with the character, but calling them actual friends might be stretching it. The Contact is willing to be inconvenienced in small ways for the character, but will not take the fall for them. The Contact will provide a secure location for the characters to use (such as a safehouse, the back room of a tavern, or the basement of a warehouse) or loan the character equipment up to 500 gp in value. 3 There is an actual friendship between the Contact and the character and the Contact will go out of their way to aid the character. The Contact will loan the character equipment up to 5,000 gp in value. 4 The Contact and character know and trust each other, and have for some time. The Contact will back the character, even in risky situations. 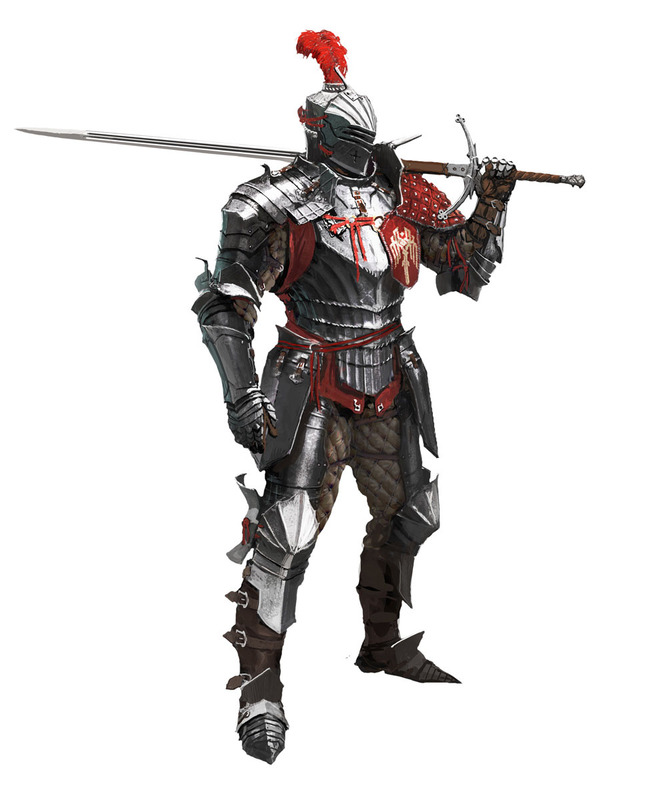 The Contact will provide the character access to and use of significant faction-related locations (such as churches, sacred groves, or fortified keeps) or loan the character equipment up to 50,000 gp in value. 5 The Contact will go to the wall for the character and advance the character’s interest without any prompting from the character. The Contact will advocate for the character’s goals within the Faction itself or loan the character Legendary magic items or artefacts possessed by the Faction. 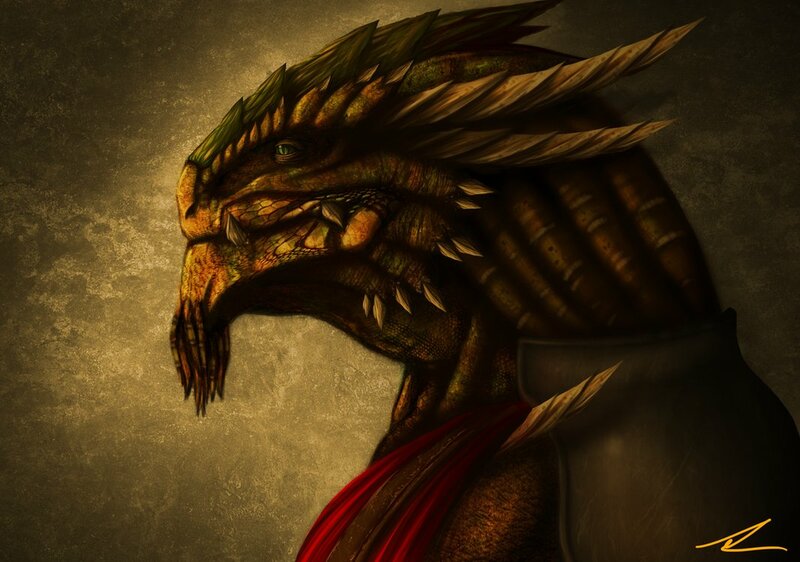 The two factions featured below that are not included in the “official” Tyranny of Dragons campaign are custom factions introduced for two of the PCs in my home campaign. 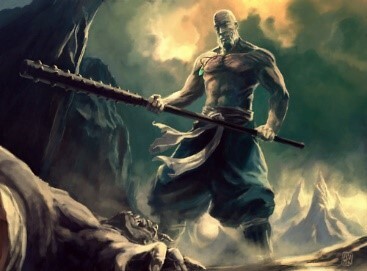 For those who may be interested, the Misty Kingdom was created for a Moon Elf Magus from the Elven Kingdom of the Misty Forest and the Host of Daurgothoth was created for a Dragonborn Warlock whose “father” is the dracolich Daurgothoth who opposes the current goals of the Cult of the Dragon. Typical quests include securing an artifact that would upset the balance of power in a region, gathering information on a powerful individual or organization, and determining the true intentions of an ambitious political figure or evil spellcaster. 1 Watcher A silver pin shaped like a harp. 10 Brightcandle Gem of Seeing or a Ring of Free Action or a 6th level Harper Mage follower or 5 Harper Spy followers. 25 Wise Owl Tome of Clear Thought or Tome of Leadership and Influence or 10th level Cleric of Deneir follower or 10 Harper Spy followers. 50 High Harper A Legendary Magic Item or powerful new follower. Typical quests include protecting a town under attack by bandits, seeking out and destroying powerful evil creatures, uncovering and thwarting the plots of evil cults and organizations. 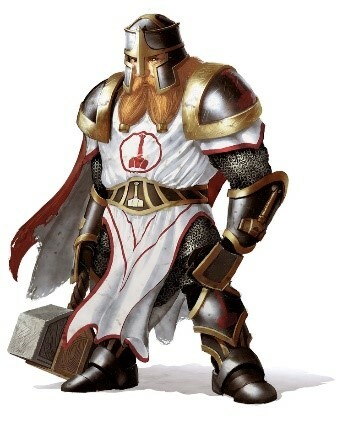 1 Chevall A tabard with the symbol of a clenched right gauntlet. 25 Vindicator A Belt of Fire Giant Strength or a Tome of Understanding or a Young Bronze Dragon follower/mount or three Knights of the Order with Warhorses. 50 Righteous Hand A Legendary Magic Item or powerful new follower. Typical quests include seeking out lost Elven artifacts, protecting the interests of Elven communities, eliminating threats to the Elves and, in particular, to the Misty Kingdom. 1 Scout A silver clasp with a stylized trio of trees shrouded in fog. 3 Mistwalker Boots of Spider Climbing (as Slippers of Spider Climbing only boots) or a Cloak of Elvenkind or a Dire Wolf follower/mount or a Giant Eagle follower/mount. 10 Fogstalker Elven Chain or Wings of Flying or an Eldritch Knight follower mounted on a Hippogriff or two Misty Kingdoms Scouts mounted on Griffons. 50 King’s Sword A Legendary Magic Item or a powerful new follower. Typical quests include preventing destruction of a natural region, destroying a threat to the natural balance, or convince a political or military leader of the value of maintaining the natural balance. 1 Springwarden A carved wooden pendant that resembles an oak leaf. 3 Summerstrider A Pearl of Power or Winged Boots or a Brown Bear mount/follower or a Hippogriff mount/follower. 10 Autumnreaver A Staff of the Woodlands or a Stone of Controlling Earth Elementals or an Owlbear follower or five Dire Wolf followers. 25 Winterstalker A Ring of Regeneration or a Tome of Understanding or a 10th level Druid of the Emerald Enclave follower or five Werewolf followers. 50 Master of the Wild A Legendary Magic Item or a powerful new follower. Typical quests include plundering or stealing a treasure hoard, powerful magic item or artifact, securing a lucrative business contact or enforcing a preexisting one; and establishing a foothold in a place where the Zhentarim holds little sway. 1 Fang A dull, blackened iron coin with the Zhentarim’s symbol on it. 3 Wolf Gloves of Thieving or a Lantern of Revealing or two Zhentarim Scout followers or a Spectre Thrall follower. 10 Viper A Cloak of Displacement or a Rod of Rulership or a Zhentarim Veteran with 2 Wolves or ten Zhentarim Scout followers. 25 Ardragon A Manual of Quickness of Action or a Tome of Leadership and Influnce or Zhentarim Assassin follower or a 10th level Priest of Cyric follower. 50 Dread Lord A Legendary Magic Item or a powerful new follower. Typical quests include thwarting the Cult of the Dragon, slaying and raising dragons as dracoliches in Daurgothoth’s service, or increasing the temporal power of Daurgothoth. 1 Child A ring of smooth obsidian. 3 Acolyte A Medallion of Thoughts or a Rod of the Pact Keeper or an Undead Half-Dragon Riding Horse or a Half-Dragon Winged Kobold follower. 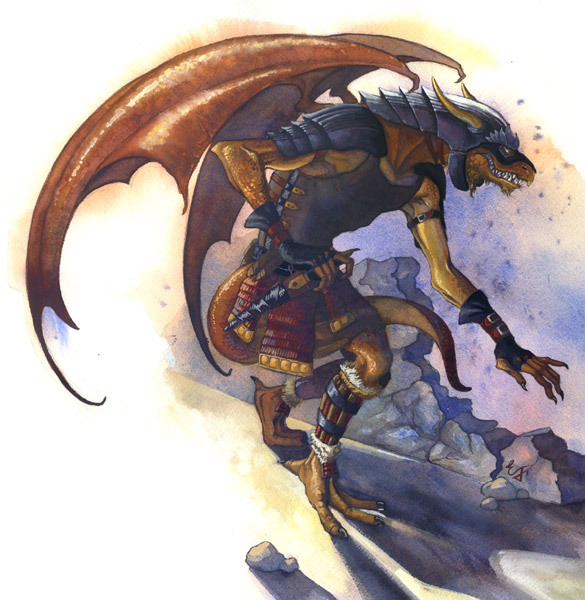 10 Deathclaw A Cape of the Mountebank or an Ioun Stone of Reserve or a Half-Dragon Bodyguard or two Guard Drake followers. 25 Dracolord A Crystal Ball or a melee weapon of Frost Brand or an Undead Half-Dragon Wyvern mount/follower or three Wight followers. 50 Son (or Daughter) of Death A Legendary Magic Item or a powerful new follower.